While iPhones are generally independent, self-sufficient devices, lots of folks still connect them to a computer to back up data or move large files to it. Let's check out why your Mac isn't seeing your iPhone. In descending order of seriousness and complexity, here are the things you should try if your PC or Mac isn't recognizing your iPhone when you connect it using a USB cable. Do the obvious. Is the iPhone actually switched on? Is there enough battery charge for it to power up? Is it unlocked? Make sure to 'Trust' your computer. If you connect your iPhone to your computer using your USB cable, look out for a "Trust this Computer?" notification on your phone. If you see one, tap "Trust". Otherwise, your iPhone won't connect to your PC or Mac, and you won't be able to transfer files to and from each device (among other things). Doing this will give you the chance to trust your computer all over again when connecting to it via a USB cable. Check the cable. 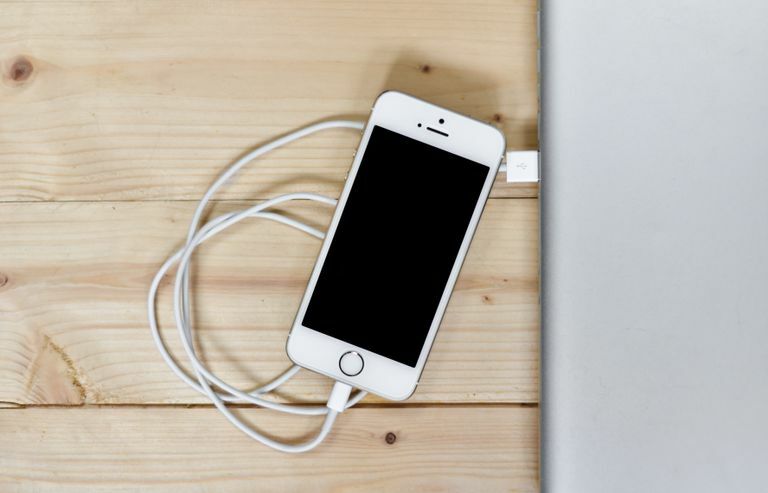 Often, the failure of your iPhone to connect to your computer simply results from a faulty cable. As such, you should make sure you're using the cable supplied with your iPhone, or at least an official Apple cable you purchased separately. Check the USB port. Try plugging the iPhone into a different USB port. Similar to trying different USB cables, it might be worth trying to connect your iPhone to another of your computer's USB ports, if it has more than one. Restart your iPhone and/or computer. This is another simple piece of advice, but it's amazing how often a simple restart can clear up issues. To begin with, restart your iPhone normally and see if that gets it connecting to your computer again. If not, try restarting your computer. Update iTunes. Generally, iPhone owners use iTunes to connect to their computers, regardless of whether they're running a Mac or a Windows PC. As such, it's always a good idea to ensure that you're on the latest version of iTunes, since the problem could stem from some kind of bug the latest version fixes. Update your operating software. If you've done all of the above, including updating iTunes, your next port of call should be to trying updating your OS (if an update is available). We delve into this for both macOS and Windows. Update your Driver Software. This step applies only to Windows users, and it involves updating the software that handles how your computer connects with your iPhone. Unlock your iPhone and open the Home screen, then connect it via USB cable to your PC (close iTunes if it opens upon connecting). Scroll down and click the Portable Devices tab (note: this may be called "Imaging Devices" or "Other Devices", depending on your version of Windows). Right-click the driver option that represents your iPhone. This may be written as "Apple iPhone" or "Apple Mobile Device", or "Apple Mobile Device USB Driver". Click "Search automatically for updated driver software". After updating, you should disconnect your iPhone and then reconnect. Hopefully, your PC will recognize it. Press the Windows + R keys simultaneously, in order to open the Run command box. Type: %ProgramFiles%\Common Files\Apple\Mobile Device Support\Drivers. Right-click on the usbaapl64.inf file (may be listed as "usbaapl.inf" instead). After installing, you should disconnected your iPhone, restart your PC, and then connect your iPhone again. Consider restoring your iPhone to its factory settings. If your iPhone still won't connect to your computer after having tried all of the above, you should consider performing a factory reset. This is a pretty drastic option, but it does sometimes work. This will wipe all the data from your device, so do consider it as a last option. Tap Reset All Content and Settings. It probably goes without saying, but this option should be tried only if you have a recent backup to restore after resetting your iPhone. And given that you've been unable to connect your iPhone to your computer, it might be that you don't have a recent one. If this is the case, you may be better off booking an appointment at an Apple Store.